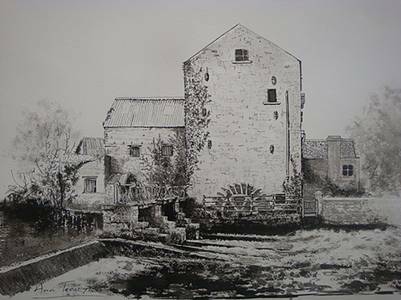 The Treacy and Moran families came to Castlestrange with the Mitchell's in the 1750's. As tradesmen (mill wrights) and book keepers they were involved with Athleague and Castlecoote Mills up to the 1900's. 1. 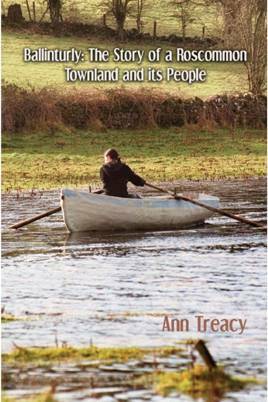 Patrick Tracey born possibly in 1750 Frenchlawn [Frenchlawn/Snipehill/Cloonagh, Ballintober], Roscommon. Died. On the 23rd February last, at the residence of his son-in-law, James Gannon, Esq., Clover Hill [Oran], County of Roscommon, Ireland, Patrick Treacey, Esq., aged 89 years, the father of Martin Treacey, of Geelong. 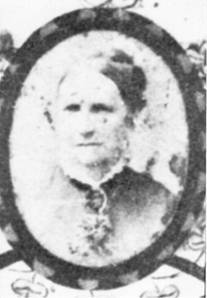 1.1.1 Mary Tracey (1804-21/11/1887) Fuerty, Roscommon emigrated to Lara, Victoria, Australia. Married in 1831, St Thomas, CoI, Dublin to William Mathews. In searching for other posts relating to my family, I came across a post from Mark Clarke dated April 6, l997 inquiring about Mary Matthews, nee Treacy from Fuerty who emigrated to Australia. He was looking for a relative in Marlboro, Ma. who lived on Highland St, Marlborough, Ma. His e-mail no longer works. Mark, if you are still reading this board, I grew up on the street next to Highland and I think I know who she was. Can you let me know a little more information? Did she have a sister or other relative named Margaret Goff? Somehow that name comes up in my mind when I think of Dorothy Treacy. Also, you might get more information from the Catholic Parish there - Immaculate Conception Church - the rectory is at Washington Court, Marlborough, Ma 01752. The parish has its own cemetery and if you write to the parish, they will give what information they have on any Treacy's in the cemetery. 1.1.2.2 John Treacy (1853-1914) married Annie O'Kane (1856-) 1881. His burial was in Marlboro. Patrick & Catharin Tracey, papist, miller, 2 children under 14 years, 1 man & 1 woman papist servants, Cloonagh, Ballintobber (Ballintober), Co. Roscommon. ...dated 27 September 1819. With the exception of the signatures, it is identical with Plate XIII. (Class N) of Brother Robinson's “Masonic Certificates.” It was sent out from Castlerea, and is signed “Jno. Treacy, G.M., and James Foster, G. Sec-Y.” The parchment is in excellent preservation, but the surface is extremely dirty. GANNON Frances James GANNON Catherine GANNON nee TRACEY Lisagallan Fuerty Athlone Roscommon 1917 - Donamon, Roscommon. 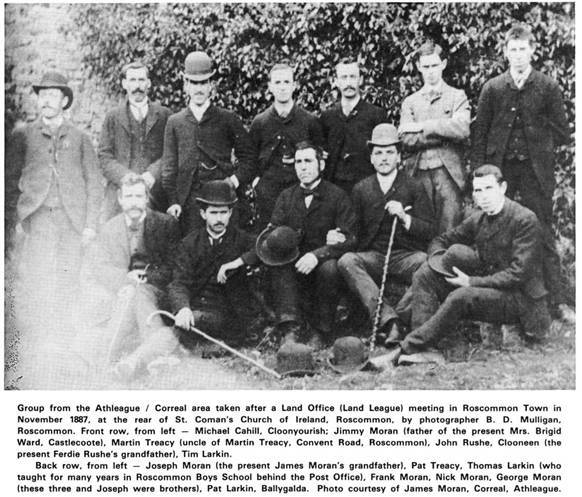 Photograph taken in November 1887 at a land reform meeting in Roscommon Town. Back row: Joseph Moran (Correal), Patrick Treacy (Ballinturly), Thomas Larkin (Ballygalda), Frank Moran (Correal), Nicholas Moran (Correal), George Moran (Correal) and Patrick Larkin (Ballygalda) . Front row: Michael Cahill (Clooneyourish), James Moran (Correal), Martin Treacy (Ballinturly), John Rushe (Clooneen) and Timothy Larkin (Ballygalda). John Murphy The James Moran in this photograph is my Great-Grandfather. He was married to Mary Larkin of Ballygalda the sister of the Pat, Thomas and Timothy Larkin. James, Joseph, Frank, Nicolas and George Moran were brothers. George and Nicolas and a third brother Leo went to the US. Joseph Moran was married to Ellen Treacy the sister of Patrick and Martin. Mrs. Nora Igoe [nee Treacy], Goff St. Roscommon. Notes: File relates to initial successful application for Service (1917-1921) Medal. Medal issued 16 July 1952. Upon reinvestigation for allowances application subject's medal was held not to have been duly awarded. Subject was only ten/eleven years of age at the time of the Truce. Subject claimed membership of Fianna Eireann. John Treacy, Ballinturly, Athleague, Roscommon. Notes File relates to successful application for Service (1917-1921) Medal. Medal issued 30 December 1952. Duly awarded certificate signed 5 September 1968. Capt Miss Nora Treacy, Correal, Athleague, Roscommon. Deaths: Mr. P. Treacy, Athleague, Roscommon. When returning home from work on his motor cycle last week, Andrew Treacy, Ballinturley, ganger for Roscommon Co. council, collided with a horse and was rather seriously injured on the head...recovered speedily and was discharged in a few days. Pictured at the launch of the book were Ruth Treacy (Tailored Films) and Breda, Patricia and Mary Treacy of Ballinturly. He is assisted in the business by his son, Mr. Martin A. Treacy, who is a native of Victoria. His other son died in 1886. Testimonial To Mr Martin Treacey. Between 30 and 40 of the friends of Mr Martin Treacey, the well-known brewer, of Latrobe Terrace, assembled in the Mayor's room at the Town Hall last evening, to wish him farewell, prior to his leaving Geelong for Wagga Wagga, N.S.W. The object of the gathering was also to present Mr Treacey with a very elegant silver tea and coffee service, containing, in addition to the usual tea and coffee pots and sugar basin, a milk- jug, kettle, and a cruet stand, the whole being placed upon a massive silver salver. The chair was occupied by Mr George Cunningham, mayor of the town, who was supported on his right hand side by the guest of the evening, and on his left hand side by Mr Denis O'Brien, Mayor of the borough of Geelong West. After the loyal toasts of "The Queen," "The Prince of Wales" and "The Royal Family" had been duly honored, The Mayor said that he had been deputed to be the instrument of conveying the token of friendship entertained by Mr Treacey's friends. The token was in two forms, the first of which was a hand somely framed and illuminated address. The reading of the address was as follows :—"To Martin Treacey, Esq., Dear Sir—On the present occa- sion I have been requested by your friends to present you with this salver and tea and coffee ser- vice, which they hope will in your new home help to keep in your remembrance the many well wishers for your success whom you leave in. this town and district. All of us are sorry to part with you, but trust we shall learn of the well- being and prosperity of yourself and family, which will always afford us much satisfaction. Yours faithfully, (signed) George Cunningham, Mayor, Geelong, 19th May, 1881." It was only a small thing, but it had an object. It would hang in Mr Treacey's room, and show that in leaving Geelong Mr Treacey was esteemed. Every word was felt. He had pleasure, too, in handing the silver set, together with the address, to the recipient of their token of goodwill. It would always remind Mr Treacey of his friends. It was in a shape that would continually remind him of Geelong, and the people in the district. Mr Treacey had been for many years in the town, and had in fact grown up with the place. Mr Treacey had served the pub- lic in various ways, and had always proved a good citizen. Mr Treacey had brought up a family, which was a credit to him, and he had always been a friend to both poor and rich. He was not flattering Mr Treacey ; it was time they all endorsed it. They all wished him health, happiness, and prosperity. The salver bore the following inscription :— " Presented to Mr Martin Treacey, J.P., on the occasion of his leaving Geelong, after a residence of 40 years, during which period he honorably filled the offices of Town Councillor, Alderman, and Justice of the Peace, and also gained the respect of his fellow citizens. 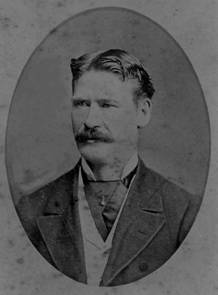 Signed (on behalf of the subscribers), GEORGE CUN- NINGHAM, Mayor of Geelong, Geelong, 19th May, 1881." In making the pre- sentations, he felt constrained to say that they were all losing an estimable friend, a warm and generous-hearted townsman. He proposed : "Health and prosperity to Mr Treacey and family." The toast was drunk with musical honors. Mr Treacey, in responding, said that he was a plain, blunt man, who loved his friends. He could scarcely find words sufficient to thank them for their kind- ness, both for the wording of the address and the inscription on the salver, and also for the tangible proof of friendship given him. Their unexpected generosity, dis- played in the magnificent gifts, was a token of their kindly feeling. He was sorry to leave Geelong—the birthplace of his children—where he had spent so many years. Nothing but the expectation of advancing the interest of his sons could have made him tear himself away from the town where he had lived so long, surrounded by friends good and true as ever man possessed. He accepted with pride the complimentary remarks and elegant gift. He would not forget Geelong and his friends, and he would inculcate in his children the duty of cherishing the memory of their native town, and of the friends who had honored their father. The recollection of the kindness of his friends would be an incentive to them to try and deserve the esteem of their fellow-citizens in their new home. He thanked his friends from his heart, and in conclusion he proposed the toast of " The Geelong Town and Geelong West Bo- rough." He had been a resident of the town since 1839. He had seen most of the prettiest places in Ireland and Eng- land, and he liked none better than his adopted town. The Mayor of Geelong, in responding, spoke hopefully of the progress of the town, and pointed out that there were signs of the town improving. They hoped that the future would be brighter. 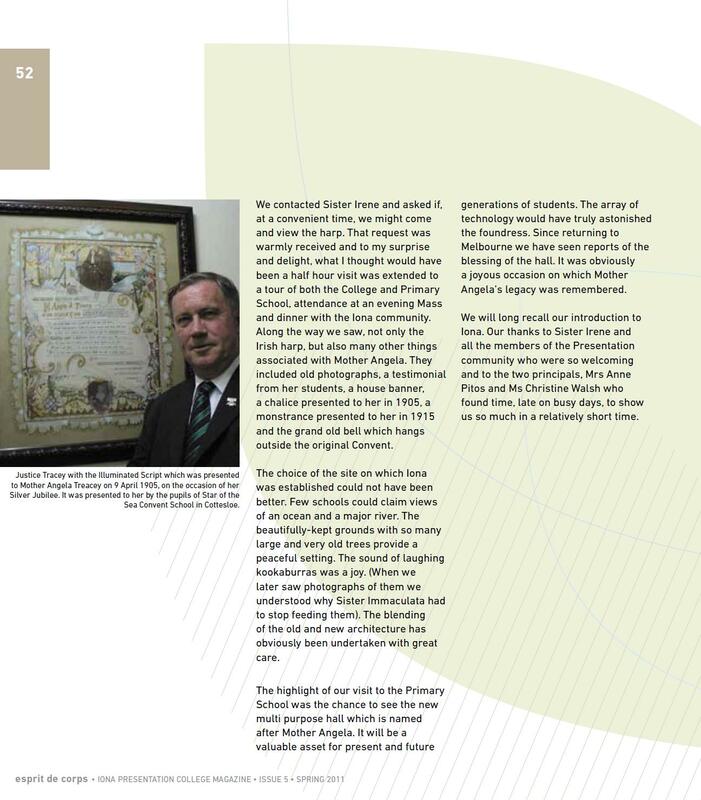 The Mayor of Geelong West (Mr D. O'Brien) said that he was proud to have the opportunity of endorsing all that had been said with regard to the citizenship of Mr Martin Treacey. Their guest had been respected by everyone. It was something to be able to say of a man who had lived a lifetime in one place. With regard to the prosperity of the town and borough, he believed it would be better and speedier if the place were better represented in Parliament. Mr J. O. Carr was pleased to see the efforts of Mr Treacey had been appreci- ated. It was only right that a man should have some recognition for the way in which he had worked in the interests of the town. The friends of Mr Treacey were satisfied with the present made, and those who could not attend were sorry. A pleasant evening was spent in toasts, songs, and recitations, among those who spoke being Messrs Connor, M'Mullen, W. Weire, G. Brown, Hoare, J. Kerley, and J. Noble, all of whom bore high testimony to the worth of the departing guest. Death Of Mr. Martin Treacey. about thirty years. He filled the mayoral chair there for a period of seven years, and during his residence in Geelong took a trip to the land of his birth. In 1881 Mr. Treacey removed to Wagga and commenced the brewery business in the premises now owned by the firm, where he met with considerable success. While on a visit to Ireland he met eleven young Australians, including Mr. John O'Mara, of Wagga, who had been placed in college there. He, being of a kindly and generous disposition, gave the youngsters an excellent entertainment, at the conclusion of which he presented each with a £5 note. The recipients, it is needless to say, thoroughly appreciated this attention, and speak in glowing terms of their benefactor. It being Mr. Treacey's desire to be interred at Geelong, every preparation was made to carry out his wish. The body was removed to St. Michael's Church, where a Requiem Mass was celebrated at 9 o'clock yesterday morning, the Rev. Father Slattery officiating and preaching the funeral sermon, in which he paid a high tribute to the qualities of the departed. Father Dowling assisted at the ceremony. The musical portion was performed by Mrs. O'Connor, whose vocalism was never heard to belter advantage. This lady accompanied herself on the organ, and in the O Salutaris (Novello's edition of the Requiem Mass) her rich voice was heard to great advantage. Mr. Cruickshank was entrusted with the funeral arrangements and prepared the coffin, the body being enclosed in a leaden case, the exterior being of handsomely polished cedar. The remains were removed to the station last evening and conveyed to Albury by the paper train, whence they were transferred to Mel- bourne by the express for iuterment at Geelong, in which place Mrs. Treacey was buried not long since. Mr. Treacey spent 42 years of his life in Victoria and 14 in New South Wales. He was married at the age of 24 years to Miss Catherine Dowling, and has left a grown-up family of three sons and two daughters. Mr. Nicholas Treacey holds an appointment in the Government Statician's office in Melbourne, the other sons being Mr. Patrick and Mr. Martin Treacey. One of Mr. Treacey's daughters, Miss Mary Bridget, is the Rev. Mother of the Presentation Convent at Hay, and Miss Catherine lived with her father and dutifully attended to his every requirement up to the time of his death. Mr. Treacey's absence will cause many regrets in the district, where he was so well known and highly esteemed for such a lengthy period. Wagga Wagga Jan 17. Mr. Martin Treacy, the well-known brewer, and formerly of Geelong, dided to-day, aged 79 years. The remains are to be sent to Geelong to-morrow for internment. The Late Martin Treacey, Of Wagga. He Came To Australia In 1839. It is with sincere regret that we have to announce the death of Mr. Martin Treacey, senr., the well known brewer of Wagga. Mr. Treacey was born in County Roscommon, Ireland, in 1817, and served his apprenticeship to the building trade in Dublin. He came to Austra- lia in 1839 in the ship Westminster, landing in Melbourne, where he at once commenced business as a builder and contractor. At that time trade in the building line in Melbourne was brisk, the city having only been laid out a few years previously by Sir Richard Bourke. Included in the numerous buildings erected in Melbourne by Mr. Treacey was the Crown Hotel, which, although it has since been considerably enlarged, still stands at the corner of Queen and Lonsdale streets. He also erected Murphy's brewery, which was for many years amongst the loading brewing establishments in Melbourne. In 1841, having completed the erection of the Crown Hotel, Mr. Treacey married Miss Catherine Dowling, daughter of Major Dowling, of Castle Connell, County Limerick, who had come out to Melbourne with her brother, Richard Dowling, a well-known contractor, in 1838. After following up his trade for a number of years he leased, and for some time conducted, the business of the Daniel O'Connell Hotel, which stood on the present site of the Melbourne Post Office. In 1846 he took tip his residence in Geelong, where he built for himself the Daniel O'Connell Hotel, afterwards named the Royal Mail Hotel. He carried on a successful business in this hotel for a few years, and then retired from active life, and went to reside on a farm he had purchased at Cowie's Creek, about five or six miles from Geelong. At about this time he purchased several allotments of land in Geelong, on which he erected substantial buildings, amongst which were three large villas on the Western Beach and several hotels. In 1857, having amassed a fortune, he took his family for a long trip to Europe, where he remained for four years. During his stay there, his sons, of whom there were four, finished their education in the Navan College, County Meath, and his two daughters went to a convent-school in Dublin, and afterwards to a convent in Lille, France. He returned with his family to Geelong at the latter end of 1861, and at once took over his hotel (the Royal Mail), and in 1865 he started business as a brewer, opening a new brewery, which he called the West End Brewery. He carried on the business of this brewery till 1881, when he sold out to Messrs. Hodges Brothers, and came to Wagga with his sons, John and Martin, and, in partnership with them, started the Murrumbidgee Brewery, in the Esplanade, which he carried on till his death. His son John died in Wagga in 1887, and Martin Treacey, junr., who is a brewer, then carried on the business with his father. Mrs. Treacey died in Wagga in 1891, and since that time Mr. Treacey's health began to fail. 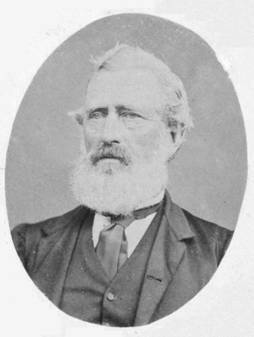 During his residence in Geelong, Mr. Treacey took a lively interest in the affairs of the town, and prior to his trip to Europe occupied the position of councillor for the town, and was subsequently an alderman. Whilst he was resident in Ireland, which was during the regime of the O'Shanaesy Government of Victoria, he was appointed a Justice of the Peace for the town and district of Geelong. After his return to the colony he was for many years a member of the committee of the Geelong Race Club, a member of the Geelong Hospital com- mittee, and treasurer of the H.A.C.B. Society. He was also one of the founders of the Friendly Bro- thers' Society in Geelong, and it is stated that this society at one time gave aid to Sir Roger Tichborne. Mr. Treacey was also one of the promoters of the Victoria Woollen Factory, which was the first es- tablishment of the kind erected in Geelong. He leaves a family of three sons and two daughters, the eldest of whom is Richard Treacey, Assistant Government Statist of Victoria ; the second son, Patrick, is a retired civil servant, and resides at Elsternwick ; and the third son, Martin, resides at Wagga. The eldest daughter, Mary, entered the Sacred Heart Order of Presentation Nuns, and opened the branch convent of that Order at Hay. Her name in religion is Rev. Mother Angela. The other daughter, Kathleen, has always lived with her father. There were also three other children, John, who died in Wagga in 1887, and two who died in their infancy in Geelong. The remains were taken to St. Michael's Church, Wagga, last Friday morning, where a Requiem Mass was celebrated. In the evening, the coffin was taken by train to Albury, whence it was forwarded by express train via Melbourne to Geelong. The funeral took place in Geelong on Saturday after- noon. The remains were interred in the family burying ground in that town, where lie the remains of the late Mrs. Treacey and the late Mr. John Treacey. Iona Presentation College is a prestigious independent, day and boarding school for girls, located in Mosman Park, an affluent suburb of Perth, Western Australia. 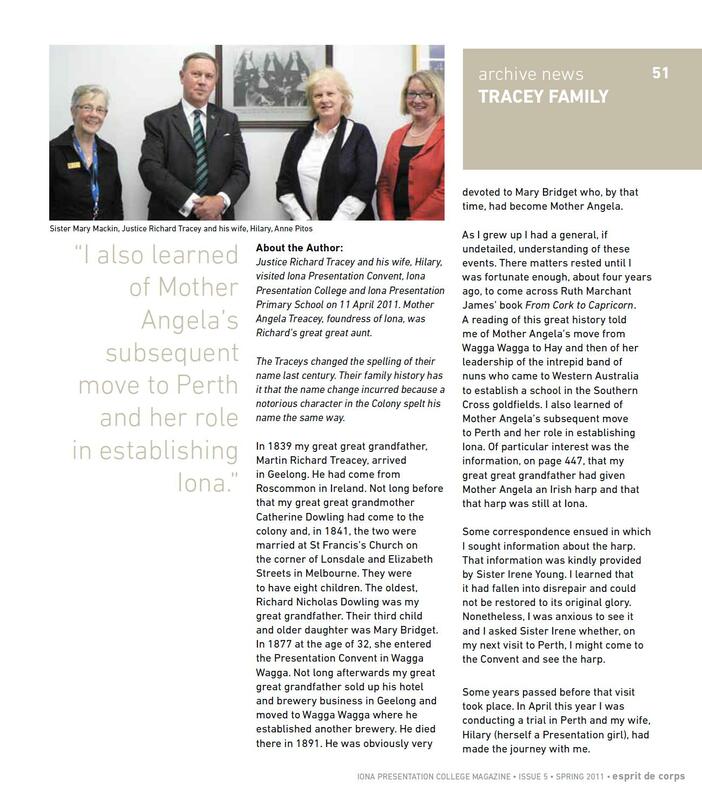 Treacey House is named after Mother Angela Treacey, one of the founding Sisters. In March 1874, in response to an urgent appeal from Bishop Lanigan of Goulburn for religious communities of women for his diocese, five Presentation Sisters under the leadership of Mother John Byrne, left Kildare, Ireland, for the mission at Wagga Wagga, New South Wales. Mt. Erin Presentation Convent Wagga Wagga, was officially opened in 1876. On 15 August 1877 the first Australian born postulant entered. She was Mary Brigid Treacey (Mother Angela), a highly educated, musically talented woman who was then 32 years of age. She was destined to become the foundress of two independent communities - Hay in 1883 and Southern Cross in 1900 - and eventually the foundress of the Perth Congregation of Presentation Sisters. 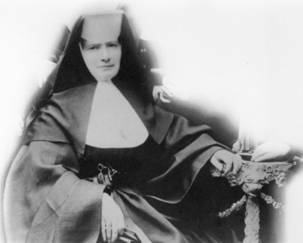 In 1900, Mother Angela Treacy, an Australian, led five Presentation Sisters from Hay in New South Wales to the goldfields at Southern Cross at the request of Bishop Matthew Gibney who was very short of teachers for his schools since government aid had ceased in 1895. The sisters arrived in Albany onboard RMS Orizba before setting out on the two-day train trip to Southern Cross where it seemed that the priest had forgotten they were coming. As the annalist wrote: “Our hearts were sad indeed when we saw the fields of our labours.” However, by the end of 1900, 100 children were enrolled in the school and a good beginning had been made. A postulant joined them there and they remained until 1904 with some moving to the mining town of Collie in 1902. Treacy-Walton - On the 27th ult, at St Francis's, by Rev M. M'Kenna, Richard N. D., eldest son of Martin Treacy, Esq., brewer, Wagga Wagga, late of Geelong, to Minnie, eldest daughter of the late George Walton, chemist, Geelong. The Melbourne journalist and writer Beatrix Tracy is currently remembered - if at all - for expressing her disillusionment with London in a widely-circulated article from the British-Australasian in 1910, where London made her fondly recall 'Australia, with its clean, spruce cities, its naive white women in clear-coloured dresses, its cheerful, sunburnt men'. They had been brought up to be more than just marriageable. Their father, Richard Tracy, was a man of independent means and vaguely intellectual interest; Madeleine, their mother was a 'very clever woman' who ran a glass factory in the city. The family was nominally Roman catholic, and both sisters attended the Star of the Sea convent in Gardenvale. In her youth 'Trixie' affected the stage, being a prominent member of Patey's Lilliputian Opera Company at the age of fourteen, and of very commanding presence as Captain Corcoran of the H.M.S. Pinafore...She was a handsome, well-developed, but rather precocious child, in those days, and carried about her a birth certificate to show that she was not more than 14. Trixie early renounced the sins of the stage and got into the groove of literature, in which she has achieved success. As a journalist, she gives each of the occupations she embarks on a narrative trajectory fashioned around her own social and cultural temperament, as a cultivated, financially-independent woman. One of the most significant series of articles on women were those by Beatrix Tracy in 1908. Tracy was a journalist who was given £2 by her editor and sent out into the street to find out something about women workers. She would go on to marry Howard E. Carr, the musical director for J. C. Williamson's Comic Opera Company. Australian dramatist and critic Louis Esson married her sister Madeleine Stephanie Tracy on the 22 January 1906 at Holt's Matrimonial Agency, not in a church, by a Presbyterian clergyman. The few surviving facts suggest that later on, life was not kind to either of the beautiful Tracy sisters. Trixie died in 1929 in Sydney of a long illness, nursed by her sister Madeleine. She also died young in 1933 at the house in Fitzroy. Fitzpatrick, Peter (1995) Pioneer Players: The Lives of Louis and Hilda Esson. Monash University, Victoria. 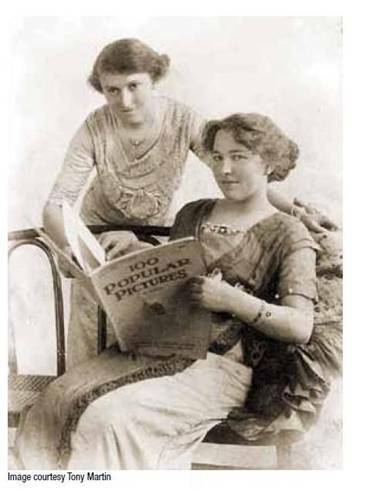 Moruzi, K & Smith, M eds (2014) Colonial Girlhood in Literature, Culture and History, 1840-1950. Palgrave Macmillan UK. Women in Australia: An Annotated Guide to Records. (1977) Australian Government Publishing Service. Major General the Hon Justice Richard Ross Sinclair Tracey, AM RFD 1999, OC. LLB (Hons), LLM (Melb. ), LLM (Illinois). He was born in Melbourne the 18 August 1948 the son of Eustace Richard and Jean Eason Tracey. On 16 May 1975 he married Hilary Frances Cain and they had four children: Jack, Philip, Fiona and Rosemary. He was educated at Melbourne High School. He graduated from the University of Melbourne as a Master of Laws and also holds the degree of Master of Laws from the University of Illinois. Between 1972 and 1987 he taught at the Law School of the University of Melbourne. He was called to the New South Wales Bar in 1975 and the Victorian Bar in 1982. He took silk in 1991. On 24 July 2006 Richard Ross Sinclair Tracey RFD QC was sworn in as a judge of the Federal Court of Australia. 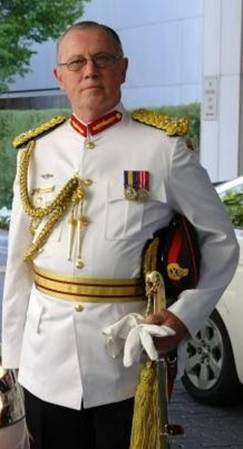 He has over 35 years military experience, beginning with his involvement in the Australian Army Legal Corp, holding the ranks of Captain, Major, Lieutenant Colonel, Colonel, Brigadier and Major General. In 1985, Justice Tracey was appointed as a Judge Advocate and Defence Force Magistrate and he became a Reviewing Judge Advocate in 1990. In 1997, Justice Tracey was awarded the Reserve Force Decoration medal in recognition of his years of diligent service in the Defence Force. He was Deputy Judge Advocate General (Army), in 2006 and 2007, and has been Judge Advocate General of the Australian Defence Force since 2007. The Hon. 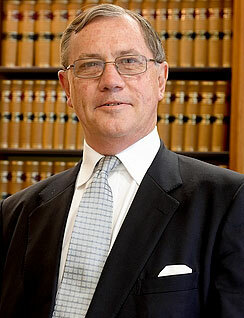 Justice Richard Tracey was appointed President of the Defence Force Discipline Appeal Tribunal on 16 February 2009. Between 1970-1972 his Honour was Associate to Sir Richard Eggelston, a judge of the Commonwealth Industrial Court. Between 1972-1987 he held various academic positions within the Faculty of Law in the University of Melbourne. He was Sub-Dean of the Faculty between 1977-1980. On 20 January 1975 his Honour was admitted as a Barrister and Solicitor of the Supreme Court of the Australian Capital Territory. He was admitted as a Barrister and Solicitor of the Supreme Court of Victoria on 1 May 1975 and as a Barrister of the Supreme Court of New South Wales on 3 June 1975. He signed the roll of counsel in Victoria on 1 February 1982. In his first year at the Victorian Bar he read with Mr A G Uren QC. He practised mainly in the areas of constitutional law, administrative law and industrial law. He took Silk in Victoria in 1991 and, in 1993, became one of the first Senior Counsel appointed in New South Wales. During his time at the Victorian Bar he was actively involved in its affairs. He chaired his List Committee for over 10 years and was also chair of the public law section of the Commercial Bar Association. He represented the Bar on various external bodies. After he moved to the Bar full time in 1987 his Honour maintained his interest in legal education. He continued to teach on a part-time basis and was a visiting fellow in the Faculty of Law between 1995-1998. Between 1997-2003 he was a member of the Legal Profession Tribunal in Victoria. He was a Hearing Commissioner of the Human Rights and Equal Opportunity Committee between 1997-2000. Between 2001-2003 he was Senior Counsel assisting the Royal Commission into the Building and Construction Industry. He has published a large number of books and articles on administrative law and industrial law. His Honour’s recreational interests include bushwalking, reading and supporting the Collingwood Football Club. He was named in the Australia Day Honours List February 2014 for exceptional service in the field of military law, as a consultant for the Director o Army Legal Services, and as Judge Advocate General of the Australian Defence Force. Later in the year, he became a fellow of the Australian Academy of Law. Mia Ellen Minack Treacey, Ph.D., M.P.H.A., of Melbourne, Australia, whose family came from Roscommon. After 15 years of working in individual universities, she is now a freelance researcher, writer, academic, and screened historian. 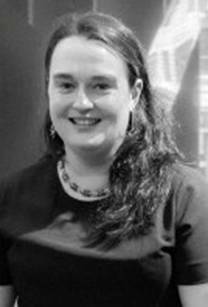 Her teaching expertise covers undergraduate through to HDR levels in the fields of history, film & television, screen or cinema studies and screened history. She has worked in universities that value high quality education and its relationship to research. She has also worked with diverse groups of researchers interested in screened history and related fields, writing and publishing in forms that are accessible and interesting to the broadest possible audiences. Her research and writing extends beyond academia, to working with groups in broader community and other non-university organisations, e.g. with film, television, radio and new media production companies and networking organisations. 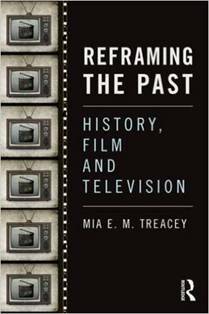 Levy, S., & Treacey, M. (eds.) (2015). Student Voices in Transition. Pretoria: Van Schaik. 1860/61 Trow's New York city directory. Tracy.— on Monday. January 5, 1874, Andrew J. Tracy, a native of Ballinturly, Roscommon, Ireland, aged 49 years. His funeral will take place from his late residence, 210 Elizabeth street, on Wednesday afternoon, at two o'clo k. Friends and relaives and those of his brother-in-law, Thomas king, are invited to attend. Tracy.—On Monday. January 5, 1874, Andrew J. Tracy, a native of Balllnturly, Roscommon, Ireland, aged 49 years. His funeral will take place from his late residence, 210 Elizabeth street, this (Wednesday) afternoon, at two o'clock. Friends and relatives and those of his brother-in-law, Thomas Kinny, are invited to attend. Tracy — Jan, 5, Andrew J. Tracy, of Ballinturly, co. Roscommon, Ireland, aged 49. Tracy - Suddenly, December 31, Bridget, widow of late Andrew J. Tracy, a native of the county Roscommon Ireland, aged 59 years. Funeral will take place from her late residence, 340 East 123d st.. Friday, ten A M.. to St. Pauls Roman Catholic Ckurck. 117th st, near 4th av. thence to Calvary Cemetery. Please omit flowers. Agnes L. Taylor died 16 Feb 1916, 147 Clifton Place Brooklyn Kings New York, age 47, married, b. 18 Dec 1868 U.S.(d. of Andrew J. Tracy b. Ireland & Bridget Kenney b. Ire) buriaed 19 Feb 1916 Calvary Cem. 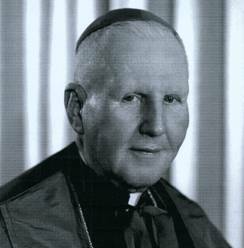 Most Reverend John P. Treacy, S.T.D., LL.D. 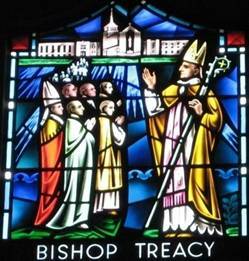 : Bishop Treacy was born at Marlboro, Massachusetts, July 23, 1890, the only child of John Tracy and Ann O'Kane, and grandson of Patrick Treacy & Hanora Gallagher of Fuerty, Roscommon. Ordained to the Priesthood Cleveland, Ohio December 8, 1918. Became the 5th Bishop of La Crosse August 25, 1948. John Treacy—Coming to the United States from his native Ireland as a lad of eighteen years, Mr. Treacy settled in Marlborough, Middlesex County, Massachusetts, and continued to live there to the time of his death in 1914. Throughout this entire period of over forty years he was connected with the shoe industry, and for the last twenty-seven years of his life he was a member of the firm of Treacy Brothers, retail shoe merchants, with a store in the Warren Block, No 153 Main Street, Marlborough, one of the oldest and most highly reputed retail establishments of the town. He was born in Ire- land in 1854, a son of Patrick and Nora (Gallagher) Treacy, both his parents being natives and lifelong residents of Ireland, where his father was engaged for many years in farming. John Treacy was educated in the common schools of Ireland, and after coming to this country in 1872 entered the employ of the Abel Howe Shoe Company of Marlborough, with which concern he remained until 1887, the last eight years as foreman. In the latter year he formed an association with his younger brother, Andrew M. Treacy (see following biography), the firm of Treacy Brothers, which since then has been engaged with much success in the retail shoe business. The business, which until 1891 was located in the Burke Block, grew rapidly and consistently, and much of its success was due to Mr. Treacy's thorough knowledge of the shoe industry in all its branches and to his untiring energy. It is still being carried on successfully by the surviving partner of the firm and in the same location on Main Street, Marlborough, to which it was moved, in 1891, from its original location. Mr. Treacy was for a number of years a member of Company F of the old Fifth Massachusetts Volunteer Militia. He was also active in the affairs of the Knights of Columbus, while his religious affiliations were with the Roman Catholic church, and more particularly with the Church of the Immaculate Conception of Marl- borough of which he was a devout communicant. Mr. Treacy married at Marlborough in 1881, Annie O'Kane and they were the parents of one son, named after his father, John. The latter, born in Marl- borough, graduated from the public and high schools of his native town and from Holy Cross College, Worcester, Massachusetts, after which he studied for the priesthood of the Roman Catholic church at Brighton Seminary, and he is now actively engaged in the ministry of his faith at Cleveland, Ohio, where his mother, Annie O'Kane Treacy, resides with him. Mr. Treacy died at Marlborough, October 22, 1914. Andrew M. Treacy—A native of Ireland, but a resident of Marlborough, Middlesex County, Massachusetts, for almost half a century, Mr. Treacy has been connected with the shoe industry in one way or another ever since he came to this country in 1880. Since 1887 he has been in the retail shoe business as a member of the firm of Treacy Brothers, their store being located since 1891 in the Warren Block, No. 153 Main Street, Marlborough, where it has become one of the best known and most successful of the retail establishments of the town. He was born in Ireland, August 17, 1860, a son of Patrick and Nora (Gallagher) Treacy, both his parents being natives and lifelong residents of Ireland, where his father was engaged in farming. Andrew M. Treacy was educated in the common schools of his native country and came to the United States at the age of twenty years, settling in Marlborough, May 14, 1880. There he entered the em- ploy of the Abel Howe Shoe Company, of which his older brother, John Treacy (see preceding biog- raphy), who had preceded him to this country by some eight years, was then foreman. Seven years later the two brothers established themselves in the retail boot and shoe business under the firm name of Treacy Brothers, their first store being located in the Burke Block, where they built up an ever-in- creasing trade between 1887 and 1891. In the lat- ter year they removed to the newly built Warren Block where they have continued since then with uninterrupted success, making a specialty of ladies' and men's fine footwear. When John Treacy died in October, 1914. his brother continued the business alone and he is still engaged in it with undiminished vigor and success under his own name. He is also interested in the People's National Bank of which he is one of the largest stockholders and he has been for many years a member of the Ancient Order of Hibernians. His religious affiliations are with the Roman Catholic church, and more particularly with the Church of the Immaculate Conception of Marl- borough. Mr. Treacy married at Marlborough, June 7, 1893, Jane McDonald, a daughter of Michael and Jane (Mulcahy) McDonald and a sister of Judge James W. McDonald, justice of the Marlborough District Court and a prominent member of the legal profession. Mr. and Mrs. Treacy have no children and make their home at No. 9 Esterbrook Avenue, Marlborough.